Interview: "Hypnosis and Fertility - Here's How to Use it to Your Advantage"
One of the most common experiences for couples trying to conceive is fertility related stress. It’s a challenge that Russell Davis knows well – he and his wife faced it head on and now have a beautiful son as well as a life mission of helping other couples on their fertility journey as well. Now a Cognitive Hypnotherapist and fertility adviser to the National Council of Hypnotherapy, Russel will share his insights on how to use hypnosis as a tool to help you overcome infertility related stress as well help support the mind-body-fertility connection. 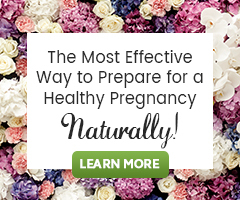 You’ll walk away with new tools for boosting your fertility naturally and get to experience a hypnosis session with Russell live during the call. *Click here to download your free gifts and get a special discount on The Fertile Mind Fertility Hypnosis Program. The interview was interesting and the hypnosis/relaxation on it is simple, yet effective. Many thanks for this – listening to it makes you feel calm and more positive about going forward on this journey. What amazing I hope this in time may help us to fall pregnant thanks From Edgware Elizabeth Rosenbaum. I Had tried to fall pregnant for 3years.